Window Well Experts » Blog » Who Needs Window Wells? If you have a home with a basement window or vent, you owe it to yourself to look into fitting it with a window well. Window wells prevent many types of property damage, help protect your family, comply with local building codes, and supply your basement with bright natural light. For the best window wells, covers and accessories, your first choice should be Window Well Experts. For more than forty years, we’ve been constructing and selling window wells and covers, and nobody can match us for selection, quality or expertise. Based in Delavan, Wisconsin, we ship across the United States and Canada, and we’ll even provide you with a free estimate by email or over the phone. A properly covered window well provides your house with protection from many hazards. If the well is properly covered, it’ll keep rain, snow, ice, dirt, and debris away from your windows and out of your basement. Unsecured dirt surrounding a window tends to collapse, leak water or turn to mud, resulting in a potentially catastrophic situation. It’s distressingly easy for mice, rats, birds and snakes to get in through a basement window or a vent. We know all of these dangers very well, and it’s our job to build solutions. All of Window Well Experts’ galvanized steel and composite wells are rustproof, and because they’re made of a single unbroken piece of material, nothing’s going to get in through any cracks. 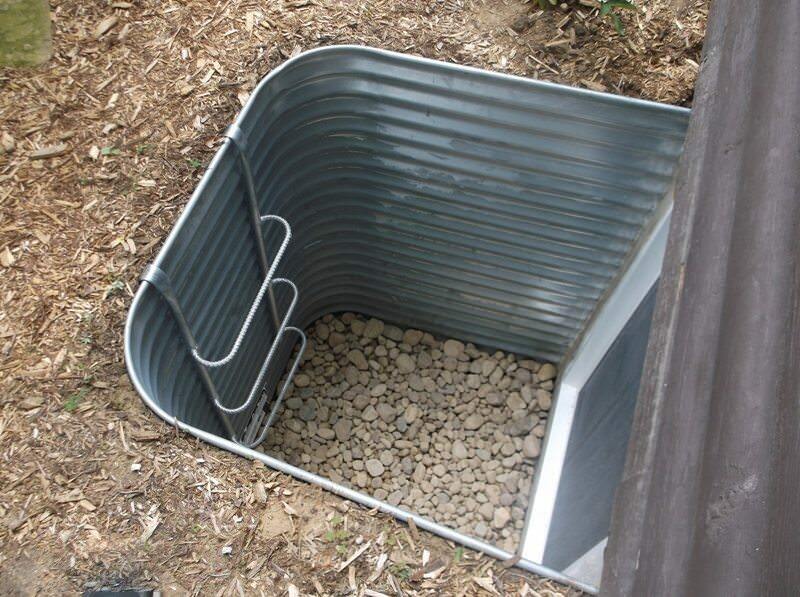 Our well covers are designed in a variety of shapes, plus custom orders, to fit your well and your house perfectly. Anyone who needs window wells — or anyone who doesn’t think they need window wells — should check out their local building codes and their insurance policies. Practically every city and county in the nation has laws mandating that finished basement rooms must contain an exit. Egress window wells, fitted with ladders and opened by quick-release locks from the inside, are a requirement for each of your basement bedrooms. Even if your basement is unfinished, they’re an excellent idea for emergency preparedness. An increasing number of insurers require window wells to have a cover, which prevents injuries caused by people stepping or falling into the well. Able to easily bear multiple times the weight of a person, our Lexan (TM) polycarbonate well covers and aluminum grates are a sturdy and well-made solution, built to last over a decade. Another benefit of window wells is the natural light they provide. By opening your basement up to the rays of sun, you’ll make it a brighter place to be, and save on utilities to boot. At Window Well Experts, we have a variety of ways to beautify the well itself, including realistic stone finishes for both metal and composite wells, reflective liners that multiply the amount of light coming into your basement, and attractive atrium dome well covers. A well-appointed basement window is an easy and inexpensive way to make your house look nicer, and may even increase property value. Of course, another answer to the question “who needs window wells?” is “people who need to replace their previous window wells.” There are a lot of signs that tell you it’s time for a change. A window well that has slipped from its original location runs the risk of leaking or even collapsing. If your window well is rusty, that’s a sign that water’s getting in. Many people replace their stone, lumber or concrete window wells, all of which are prone to cracking and leaking, with waterproof galvanized steel or composite solutions. As for window well covers, our Lexan (TM) well covers are UV treated to endure and remain clear for 15 years, but many competing covers grow brittle or discolored in a fraction of that time. If you’re buying your well, cover or both from a store with a limited selection, they may not fit correctly, or they may be the wrong size or shape for your house. If that’s the case, ask us at Window Well Experts and make sure to get the right equipment for your home.